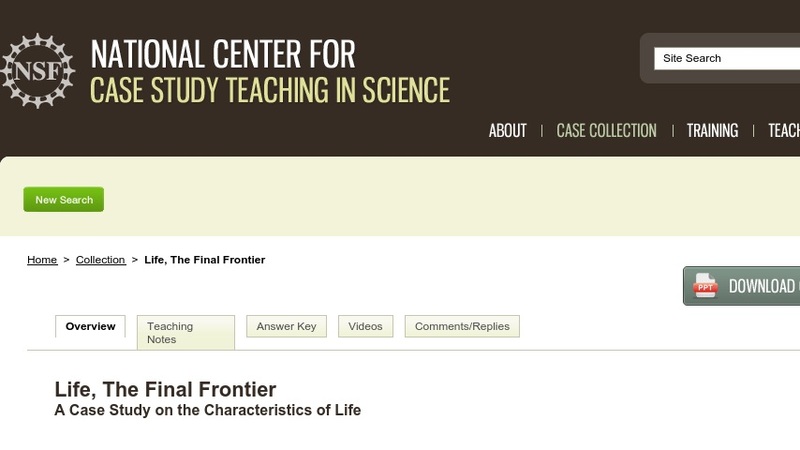 Designed for high school and college-level introductory biology courses, the goal of this "clicker case" is to get students to think about what it means for something to be alive by defining the characteristics of living organisms and applying these to living, nonliving, and previously living objects. The case does this within the framework of a fictional scenario in which the President of the United States must decide whether to announce that NASA has discovered extraterrestrial life. However, NASA is no sure how to define their discovery. The case combines the use of student personal response systems (clickers) with case teaching methods and formats. It is presented in class using a series of PowerPoint slides (~1MB) punctuated by questions (called "clicker questions") that students respond to before moving on to the next slide. The case could be adapted and used without these technologies.